Approx 13 x 9 inches from wing tip to wing tip. 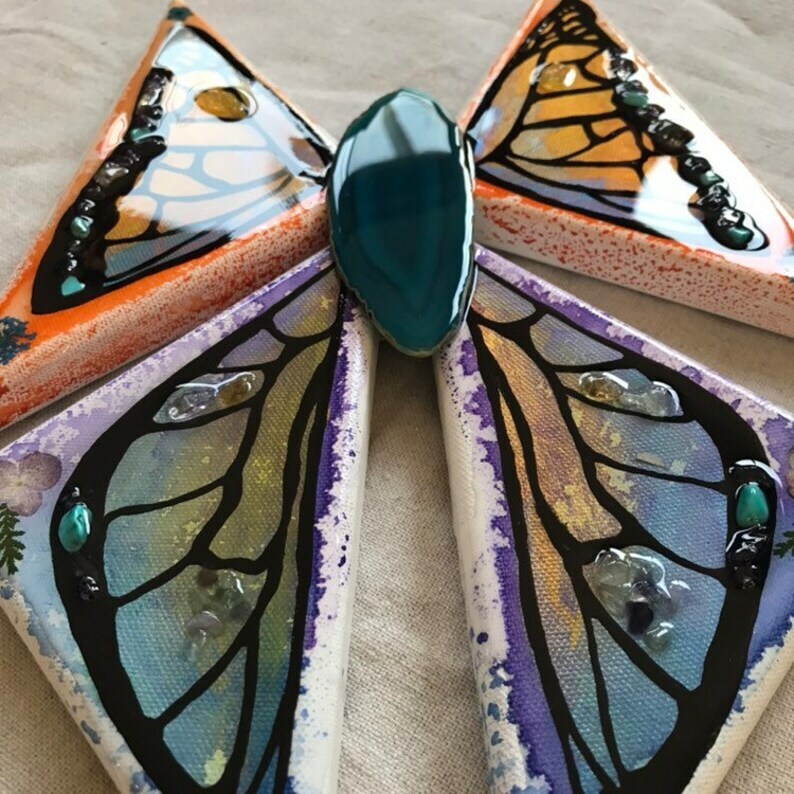 Four triangular canvases joined together by an agate slice. Watercolor, acrylic, amethyst, turquoise, citrine, fluorite and pressed flowers sealed in resin.